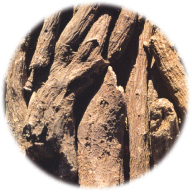 EUROMED echinacea extracts are standardized herbal extracts of the roots of Echinacea angustifolia DC and Echinacea pallida (Nutt.) Nutt. or roots or herb of Echinacea purpurea (L.) Moench (all Asteraceae). Compounds found in echinacea are at least 20 alkalised, caffeic acid esters (principally echinacoside, the 4-0-caffeoyl ester of a highly substituted glucose) and cynarin, a quinic acid derivates. Other characteristic compounds are alkalised polyyens, flavonoids and polysaccharides. Extracts of echinacea are used to support and promote the natural inmune system, especially in infection conditions of nose and throat. It is used in the prevention and treatment of colds and flu and as supportive treatment of recurrent infections of the ears, respiratory tract and urinary tract. Echinacea extract is generally well tolerated. Side-effects are rare following the proper administration of the designated therapeutic dosages. It should not be administered in the presence of an autoimmune diseases such as tuberculosis, leukosis, collagenous, multiple sclerosis, AIDS and HIV infection. 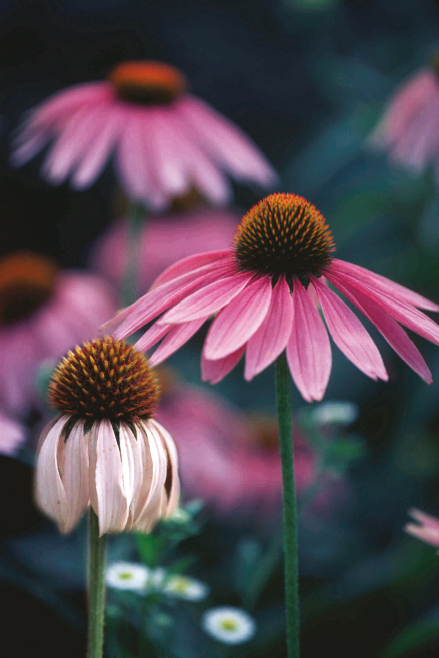 To-date acute cases of echinacea extract poisoning have not been reported.